New truck owners are going to have a tough time deciding just what to buy this year. Nissan has given the other truck companies a run for their money. This is a well thought out strategy by Nissan to put a competitive engine in the Titan. The other competitor is of course the hemmi. The Italian engine maker will manufacture the engine in a plant that has existed since the nineteen twenties, and will help the economy since the downturn in 2009. 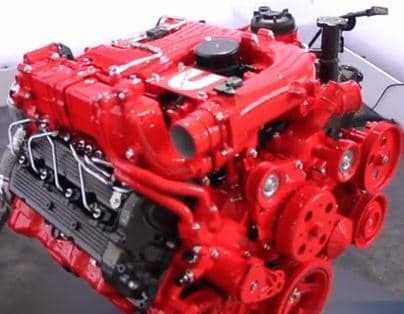 The new cummins engine is designed to be the comeback for the 2014 season. The engine is a 300 horsepower turbocharged 5 liter v8 engine, with great torque. This is an American made truck, designed to bring Nissan back into the large truck market and compete with Ford and Dodge. It’s a diesel truck made for tough end usage and seems to deliver its proposed hype. The truck is designed to take relatively heavy loads and have passenger seating as well. There is some discussion that the diesel engine will be a 6.8 engine, and show even more potential than originally thought for 2014. But the 5.0 is the one that consumers want; it’s a step before the full commercial size trucks. The engine is supposed to have the most torque for any truck of similar make on the market. It looks like truck enthusiasts are going to have a hard time deciding on just which new one they want, because the market is getting pretty competitive with this new development in the largest line of vehicles before that big jump to the commercial size. There’s a v6 and a v8 option, the v6 is made by the same people who make the jeep Cherokee. So, there’s a lot of anticipation for the unveiling of the new Cummins because its thought to revive the Titan Nissan and do even more. Everyone who loves this class truck will be waiting to see how much they like it. Predictions have been really good. Look online to see what the blogs are saying relative to this new venture by Nissan. It’s a much-anticipated move that a lot of owners were looking for.